Security questionnaires and assessments are integral parts of comprehensive vendor risk management (VRM) programs. But if you’re just getting started in the creation of your vendor assessment, you probably want to know what the most vital, high-level questions are and why you should be asking them. That’s why we’ve created this guide. 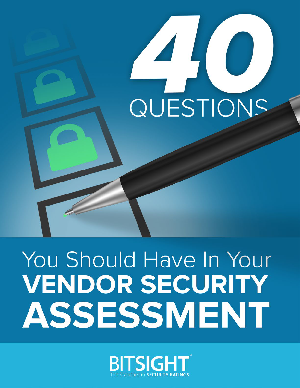 Why you should consider including these 40 vendor security assessment questions. The industry-standard security assessment methodologies you should review. Why a security assessment alone may not be enough.